There are some freaky stuff that statistics can do, like mind reading. Today in Brain Computer Interface Lab, we did an experiment to type letters on computer using my brain, instead of fingers. Basically, we had a training period where the computer compared event-related potential (ERP) to the letter that is blinking. 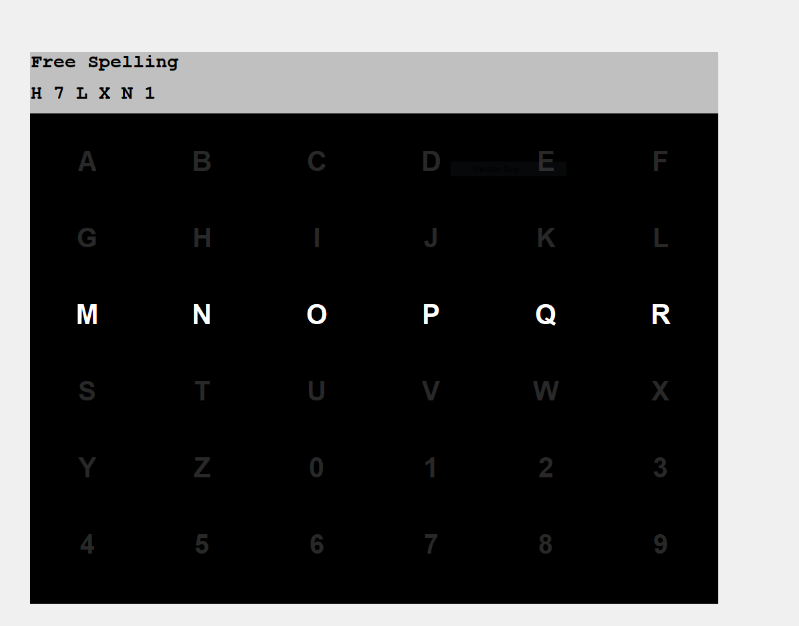 (It is quite difficult to explain this in plain words--basically, during training the computer program showed target letter, and blinked mixtures of letters in single row or column. See the picture below.) Each flash of letter produces a peak in ERP, and we used Linear Discriminant Analysis to classify target ERP and non-target ERPs. Unfortunately, because our amplifier broke down, our team only trained with three letters. The picture shows the test result when I tried to type GROUP1--we got H7LXN1, which is not GROUP1, but the letters produced were on the same row or nearby the target letter. I wish we could train with at least seven letters next time for higher accuracy. Still very freaky! !